Enright, Gary. The Last Wolf. L. David Mech. 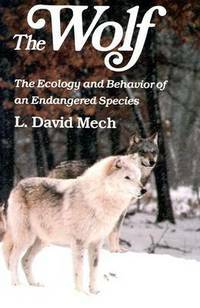 Wolf: The Ecology and Behavior of an Endangered Species. Foster, E.C. and Slim Williams. THE FRIEND OF THE SINGING ONE..
George, Jean Craighead. Look to the North : A Wolf Pup Diary. From The Last Wolf to The New Wolves, we can help you find the wolves books you are looking for. As the world's largest independent marketplace for new, used and rare books, you always get the best in service and value when you buy from Biblio.com, and all of your purchases are backed by our return guarantee. Bearsville, NY Rufus Publications, 1996. Hardcover First Edition , so stated. First Edition , so stated. Near Fine in Very Good+ DJ: Book shows only minute indications of use: small, barely discernible yellow stain to front paste-down endpaper; binding shows the slightest lean, while remaining perfectly secure; text clean. DJ shows light wear to extremities; 1/4" closed tear to top spine; light wear at the corner tips; mild rubbing; price unclipped; mylar-protected. No longer 'As New', but remains close to it. NOT a Remainder, Book-Club, or Ex-Library. Folio. 192pp. Hardcover with Dustwrapper. This is an intimate look at the wolf, quite possibly one of the most misunderstood creatures on Earth. So often depicted as evil in lore and legend, this book shows another side of this beautiful animal. Instead of the red-eyed, drooling monster of myth, we see the well-organized society present in a wolf pack, full of nurture and play. The qualities of the wolf that seemed to prove its place in history are shown instead to be merely the means for its survival. The expressive photographs and rich text work well to dispel the myth of the wolf as just a savage beast. NY: Atheneum, (1967) Illustrated by Fermin Rocker. 2nd Printing October 1968. 122 pages, cloth. Story of an Eskimo boy & a young wolf both stalking a seal who are cut off from land when their ice floe breaks away from the shore. FINE in lightly soiled & chipped dustjacket..
New York: HarperCollins, 1997 Hard Cover. Very Fine in a Fine Dustjacket. First Edition, first Printing. Inscribed By Author. Lovely picture book highlights the change of the season and the growth of 3 wolf pups.. Illus. by Lucia Washburn . 4-24: Dell. Very Good. 1969. Eleventh Printing. Paperback. All orders ship with in 24 hours except Sundays & Holidays, with a tracking #. Items ship from the US. International orders may take longer for you to receive because of customs. Contact us if you have more questions before your purchase we will get back to you within 24 hours. ; 8vo 8" - 9" tall; 176 pages; Spine is straight, binding is tight, name on the inside cover the rest of the pages are unmarked, very little wear, small water stain on the first page at the bottom. .